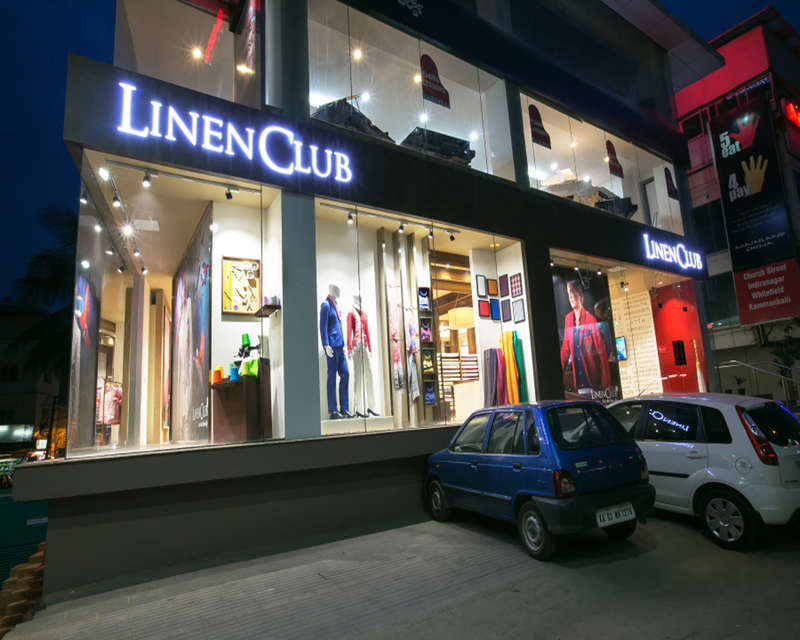 The Linen Club’s new Hundred Feet Road flagship store provides an experience that is both impressive and intimate for India’s largest linen manufacturer and retailer. From the extensive glass façade allowing a view into the store, a profusion of natural light and high-visibility for visual merchandising, brand imagery and lifestyle photography; its clean simple lines are a comfortable parallel with the crisp and refined nature of the linen itself. Within the space, a welcome area shares the history, attributes and appreciation of linen from a perspective of history, culture and the world’s leading fashion designers – who appreciate the unique quality, versatility and longevity of linen through history, as well as serving as the fabric for today’s active and dynamic entrepreneur. The proprietary merchandising displays of the linen bolts and bales, the store’s custom design lighting and the unique floor plan and presentation, all create a Linen Club experience for the guest, unique to retail in general, and specifically to Linen Club.